You are only a couple of minutes away from the perfect beach vacation! 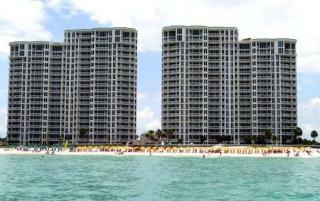 Click here to see our list of available beach front condos and to book securely online. 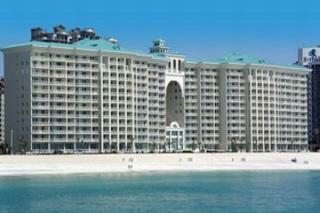 Find out why Destin Beach is the perfect beach for your gulf coast get-away. With hundreds of miles of emerald green waters and sugar white sand, simply walking out the front door of your vacation condo will transport you to instant serenity. 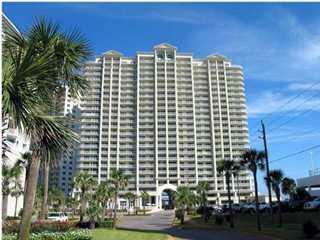 We are the easiest place in Destin to book a house! Click here to view our full list of beautiful houses and townhouses available for your business, family, and friends. Vacationing on the beach in your own house is the ultimate in privacy and relaxation. View photos of our beautiful homes and you will see why Destin, FL is the clear choice for your vacation or corporate retreat. It is undoubtedly a buy and hold market! View our special report on how you can make money on your Florida Panhandle property even in this tough real estate market. Don't miss out on this rare opportunity to purchase prime real estate at the lowest prices in over a decade, while making great cash flow on vacation rentals. Sept 28th- Oct 4th 2009 We had perfect weather everyday.